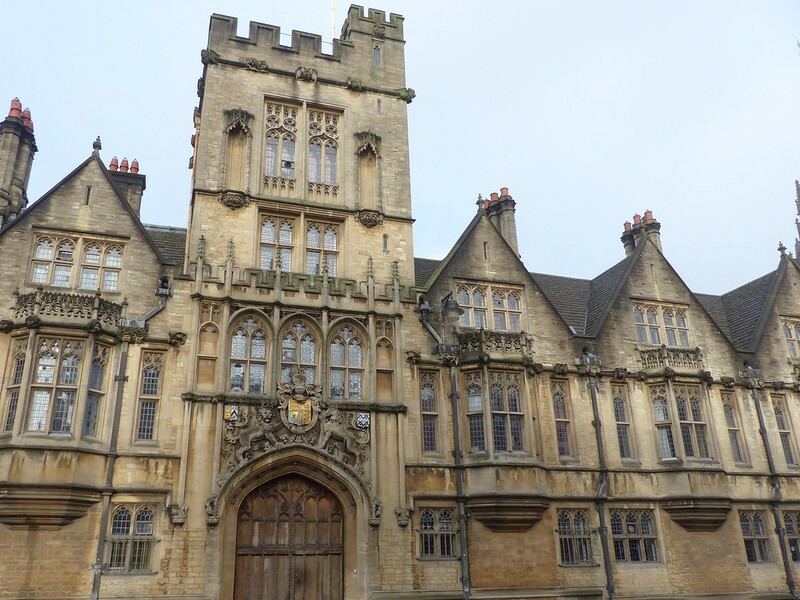 Oxford is one of the world’s most famous university cities and is quintessentially English. It is steeped in history and it's honey-toned buildings and famous spires are instantly recognisable. Oxford has always appealed to me and I really don't know why I waited 29 years to visit for the first time. I like to think of myself as a bit of a history buff but I'm also a huge book lover and Potterhead so a visit to the city with a fascinating history, world famous library, literary links to J. R. R. Tolkien and C. S. Lewis and lots of Harry Potter filming locations was ideal. I set off from my home town of Newport at 07:40am to make the most of my day out in Oxford and the journey took roughly 1 hour 45 minutes. Oxford is really easy to reach by train with direct links from London, Manchester, Birmingham and South Wales. Once I had arrived it was just a ten minute walk to the meeting point of the tour I had booked at the Bodleian Library. The city is small enough to explore on foot but you can hire a bike for around £15 which might help you cram in lots of sightseeing and fit in with the locals who all seem to have a bike. 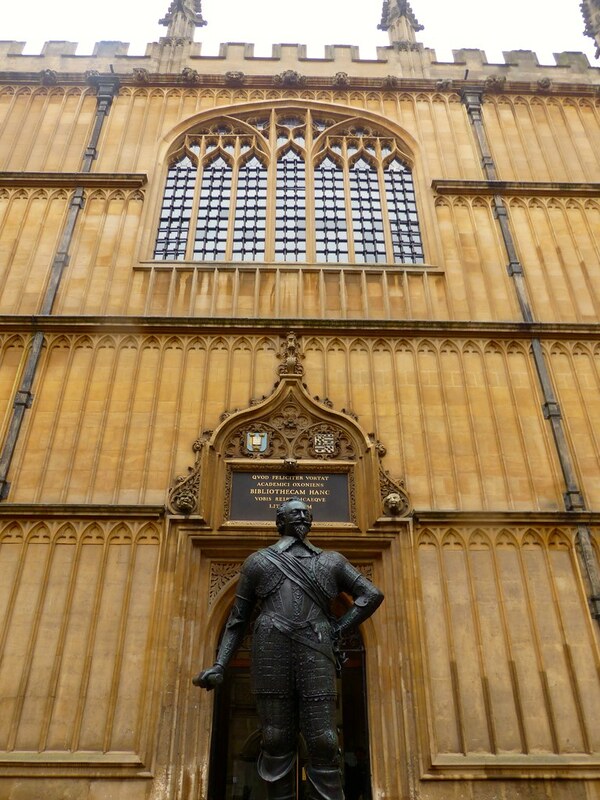 First up in my jam packed itinerary was a trip to the Bodleian Library – one of the greatest libraries in the world! 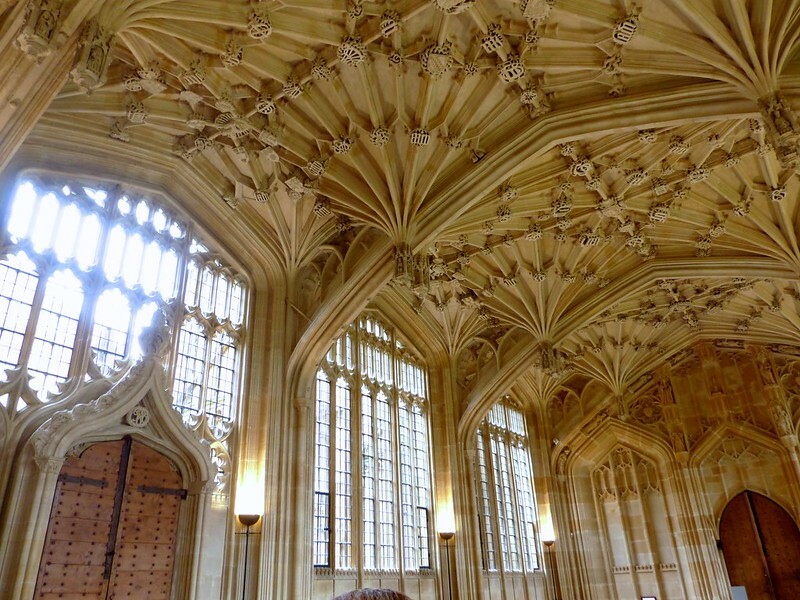 I pre booked a tour which lasted roughly an hour and enjoyed learning about the history of the university and library and gazing up at the elaborately vaulted Divinity School ceiling. 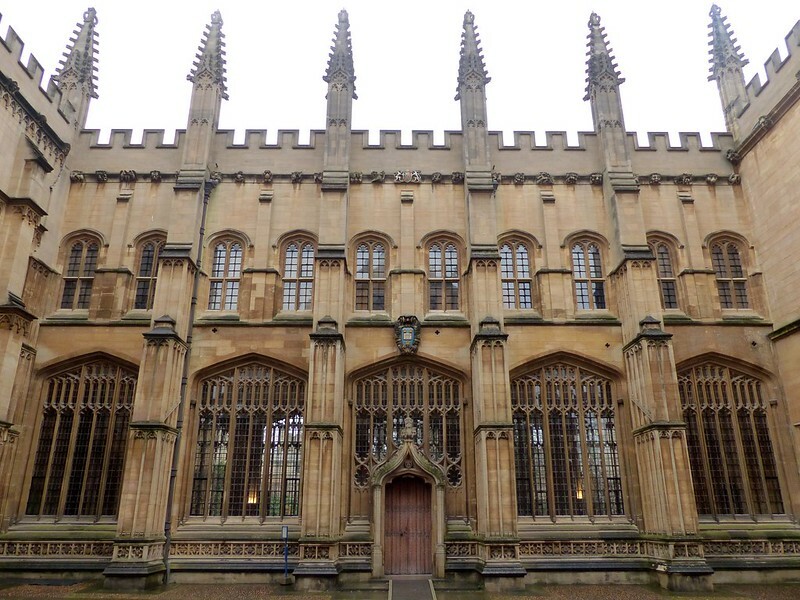 This building was used as a filming location for Hogwart’s infirmary in four Harry Potter films and the room where students practice their ballroom dancing before the Yule Ball. As the main research library of the University of Oxford, the Bodleian is one of the oldest libraries in Europe and is simply stunning. I took so many photos of this place and enjoyed my tour so much I'm going to dedicate a whole post to it at some point. A quick peek around the The Museum of the History of Science was next up on my strict schedule. 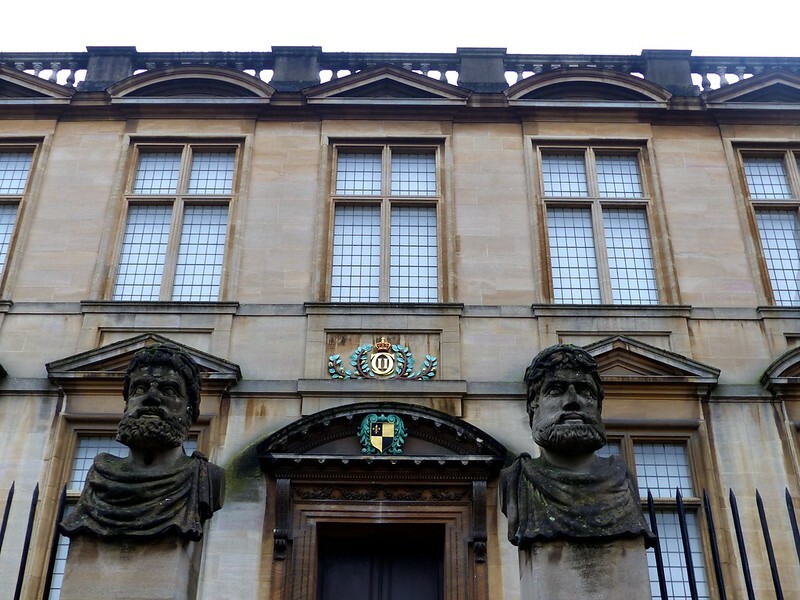 It houses some curious early scientific instruments and is the world’s oldest surviving purpose-built museum building (it was the original Ashmolean Museum). 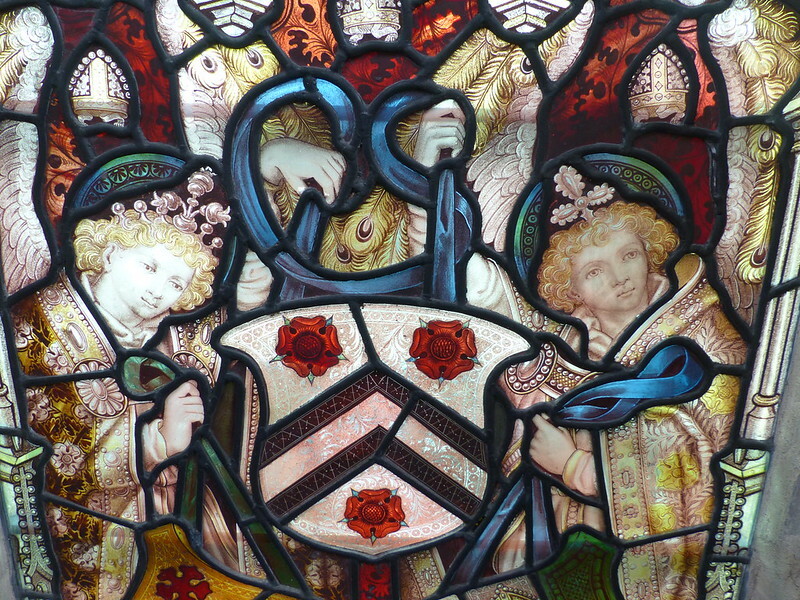 There are regular tours which take place every Thursday at 2.30pm and 3.15pm and every Saturday at 12.30pm and 1.15pm. Einstein's Blackboard is probably one of the most iconic items in the collection. Physicist Albert Einstein used the blackboard on 16th May 1931 during his lectures while visiting the University of Oxford and his formula remains on the board. The golden Radcliffe Camera is probably one of the city’s most photographed buildings. The circular columned library houses books primarily focussed on history and the humanities. 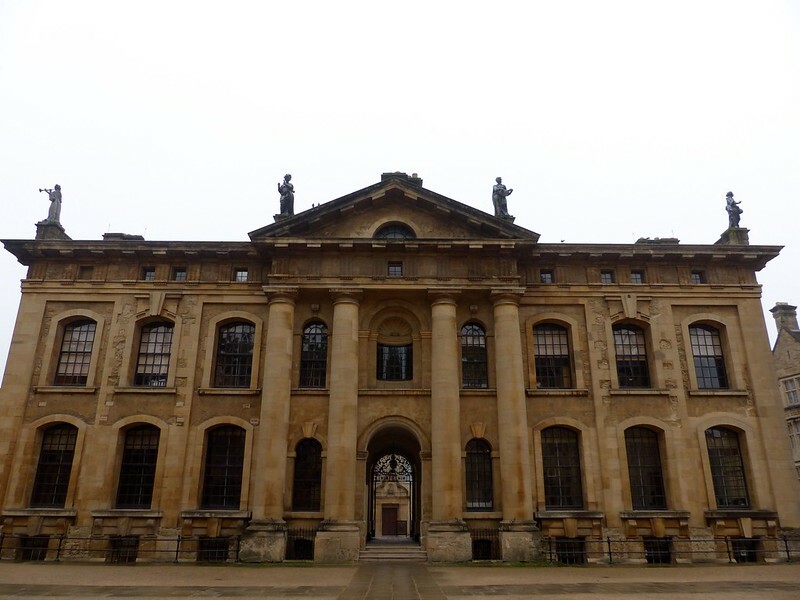 I would have loved to have taken a peek inside but you can only enter if you are a student or if you book a spot on the extended Bodleian Library tour. These tours only run on certain days so I recommend planning this in advance if you really want to take a look around. After a morning jam packed with sightseeing I popped in to the University Church of St Mary the Virgin for a little sit down and to eavesdrop on a walking tour that was going on. Apparently until the 17th century, the church was used not only for prayers but also for rowdy graduation ceremonies. 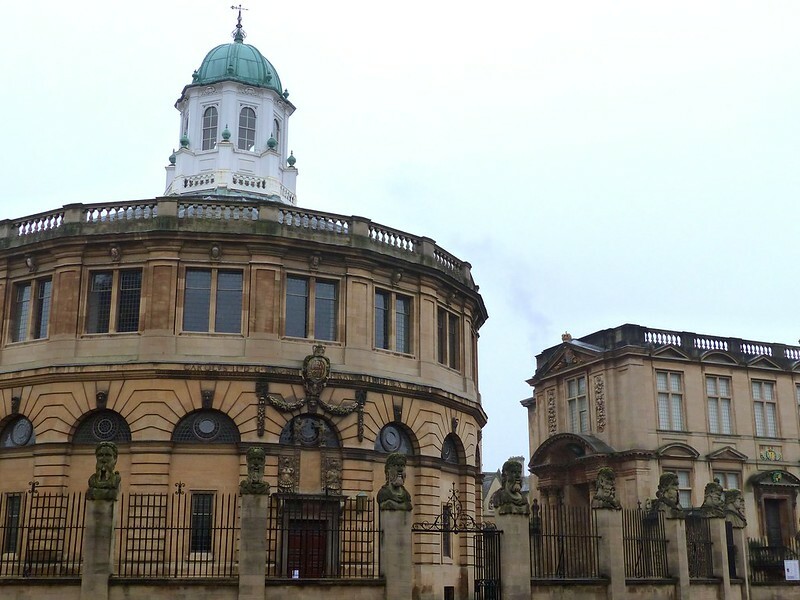 The Archbishop of Canterbury didn't like this and at all and Christopher Wren was commissioned to erect what became the Sheldonian Theatre to host graduation ceremonies. The church is now reserved for religious worship only. 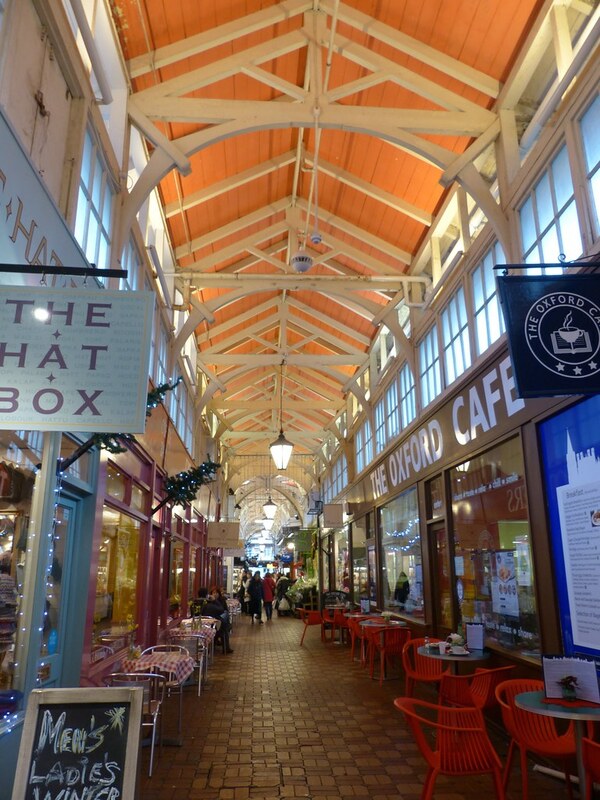 The historical market is a great place to walk through and grab a bite to eat. You’ll find everything from butchers to greengrocers and bakers and baristas serving tasty treats. I recommend Sasi's Thai for an affordable lunch. I had some green curry, crispy pork and rice with a drink for around £7. There are a great selection of cafes here and I picked up a Ben's Cookie here for the train journey home and some pies from the butchers for Martyn. A pork pie is better than a postcard, right? After a heavy lunch I decided to stroll around the streets, peeking through the college gates to see the impressive buildings hidden behind and I headed to Blackwell’s Books. 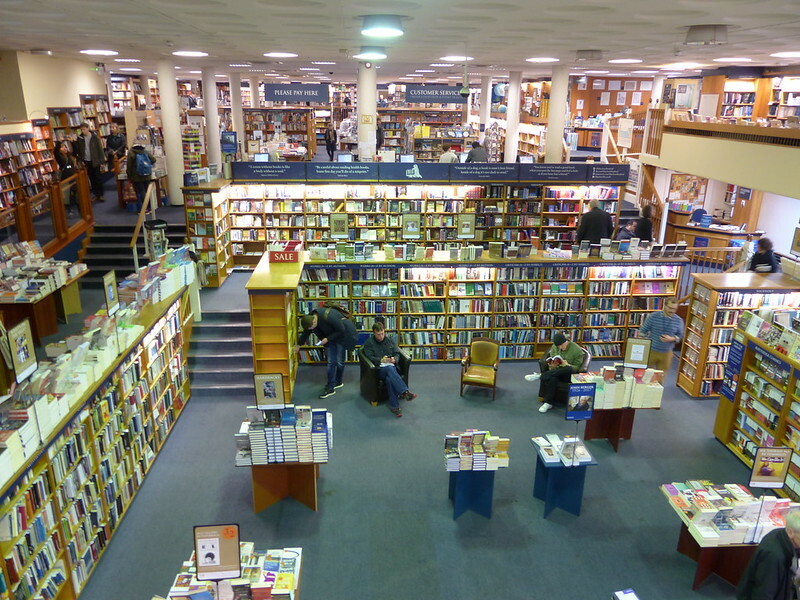 The basement is 10,000 square feet and is the largest bookstore in Europe. Bibliophile heaven! I picked up a travel guide for my next trip to Scotland and a copy of Wuthering Heights to read on the train home. The last stop on my trip was the Ashmolean Museum. 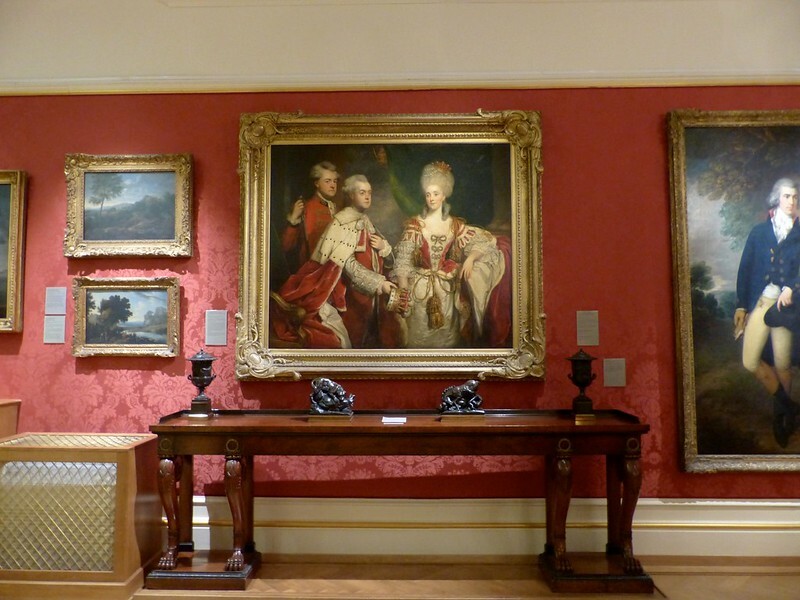 It was founded in 1683, this is Britain’s oldest public museum. 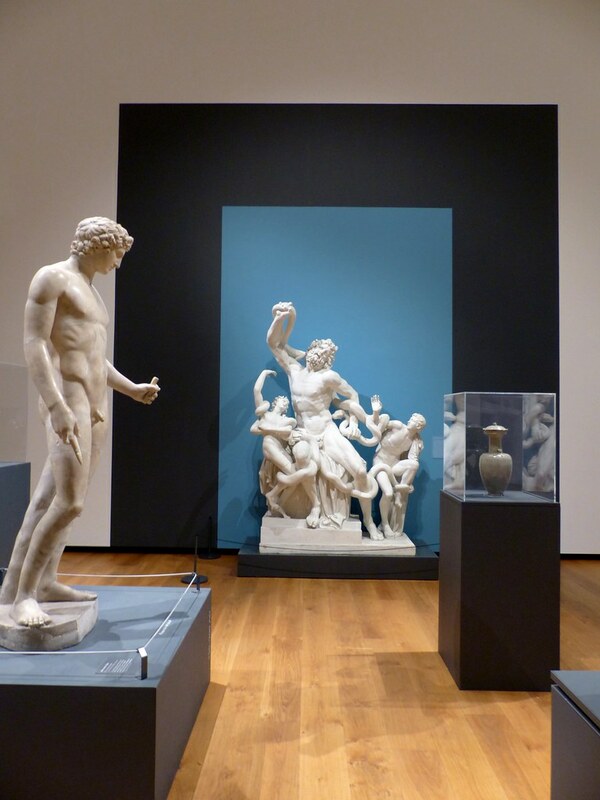 It recently went through a renovation and displays ancient sculpture as well as an impressive art collection. This is well worth a visit and completely free. I avoided the costly open top bus tours and opted for a budget friendly, informal lunch which kept costs low but what did my day out set me back? 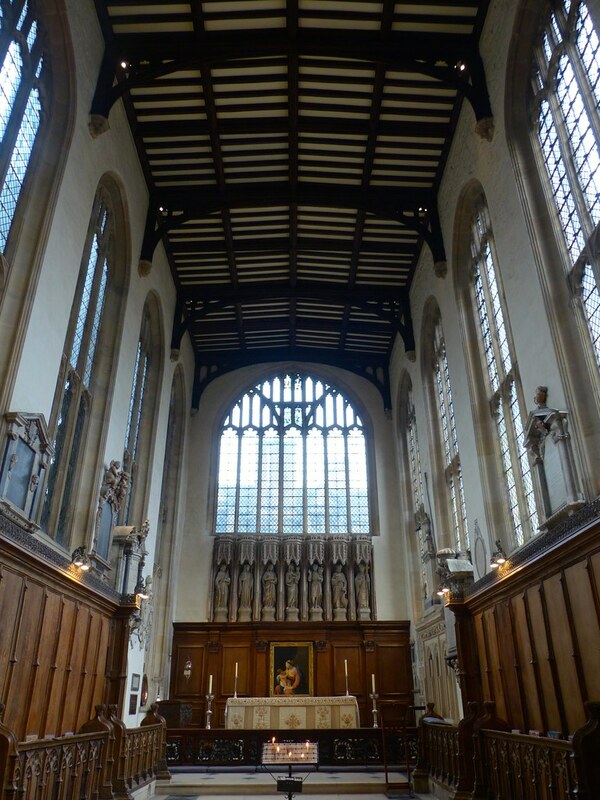 If I return to Oxford I would love to visit a few sights I just didn't quite have time to see including Christ Church, one of the colleges at Oxford University which dates back to 1546. It has an impressive Cathedral and beautifully manicured quadrangle. I would also like to take a look around the Pitt Rivers Museum which holds one of the world's finest collections of anthropology and archaeology (including shrunken heads) and have a fancy afternoon tea in The Randolph Hotel. 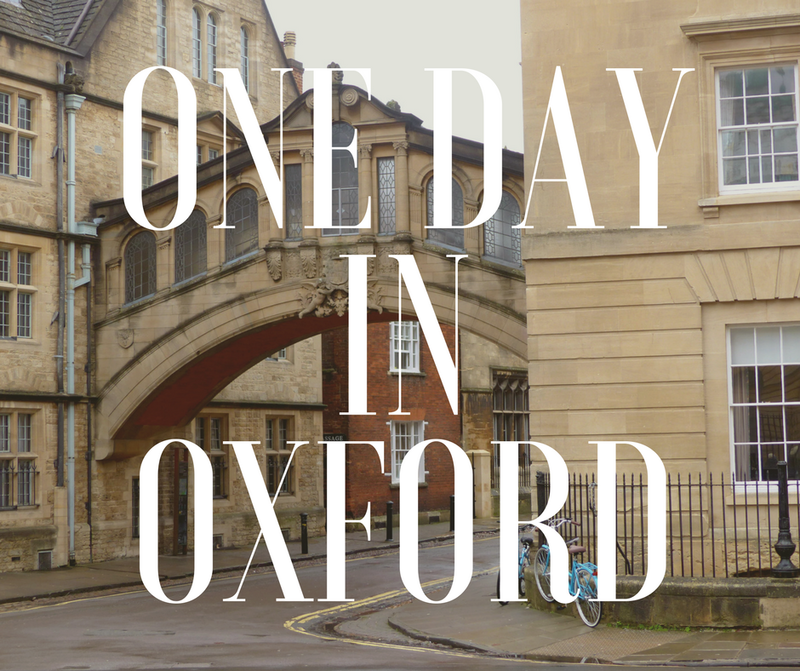 You can get a pretty good feel for the city in one day but if you want to see all of the sights and enjoy a pint at Turf Tavern (Inspector Morse's favourite pub) I recommend an overnight stay in Oxford. Beauitful city, with so much to see. You've got some fabulous photos there. I imagine there isn't enough time in one day to see all that you want to. a long weekend would have been ideal, my legs ached after a full day of walking around on the cobbles taking in the sights. Isn't the library a thing of wonder? I remember working there a while back and I was spellbound by Oxford. 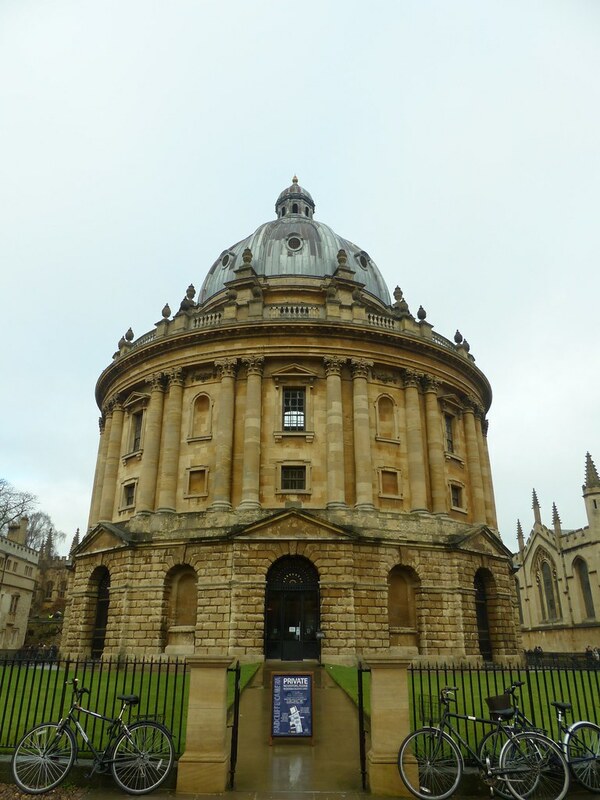 I always find these posts kind of weird, having worked all my adult life in Oxford and a big chunk of that time was at the Bodleian as it goes, you don't see it with the same eyes. I have to say afternoon tea at the Randolph is not the best, there are other places in Oxford that are much better and much cheaper too. I suppose I would feel the same way about Cardiff/South Wales as I've always lived and worked in the area. I used to work at the Cardiff Uni library service and many of the buildings are listed or of note but passing through them every day made them feel ordinary. Most buildings in Cardiff and Newport are pretty new and the area only really grew during the industrial revolution so I do enjoy seeing areas with older architecture, York was particularly lovely with its snickleways and timber framed houses. Ah I've had afternoon tea at the Randolph, whilst pretty pricey, it's a lovely location! Oxford stole my heart when i went too. In fact I'd quite like to go back very soon! 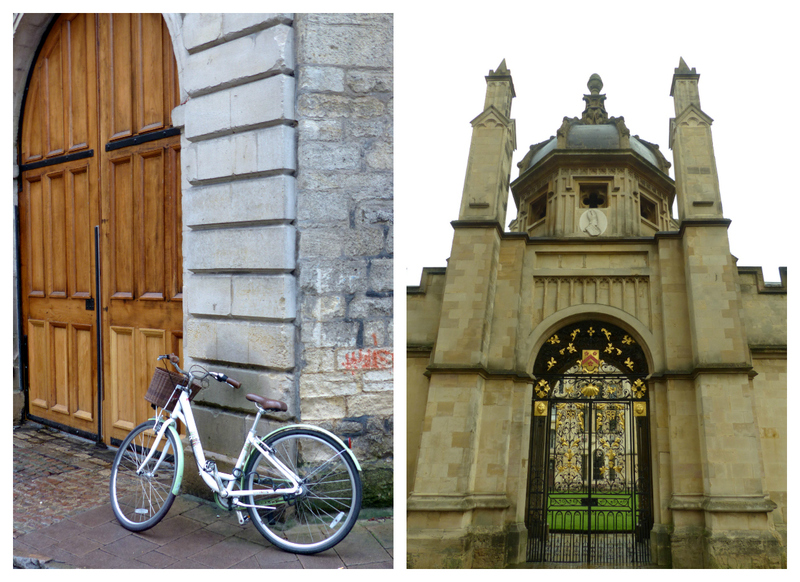 I've only visited Oxford once, briefly, and would love to go back (especially after seeing these photos!). It's such a pain to get to from Leicester though - despite not being far as the crow flies, it takes two trains and almost 3 hours to get there. Ahhh....it looks so pretty. I haven't been to Oxford in years, which is no excuse as it's so nearby. I've never actually visited Oxford, but reading this I really want to! Oxford is just one of my favourite places, the architecture is just stunning and the Ashmoleon is so inspiring. It's my dream to visit Oxford! So many famous minds went there and even just to walk the paths they did would be amazing! I am literally 10 minutes away from oxford and though I go there most of the time I hardly ever do tours. I did once with the tour bus but weather was aweful so didnt see much. I love Oxford, I need to head back soon, it's not too far from me! Love your pictures! We drove past Oxford on Friday on our way West and both said that we'd like to visit soon... Hopefully I can make it happen this year!